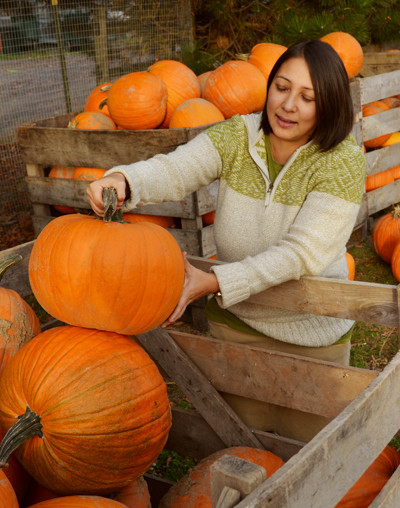 This is one of my favorite times of the year and I enjoy throwing a pumpkin carving party and Halloween dinner in October. 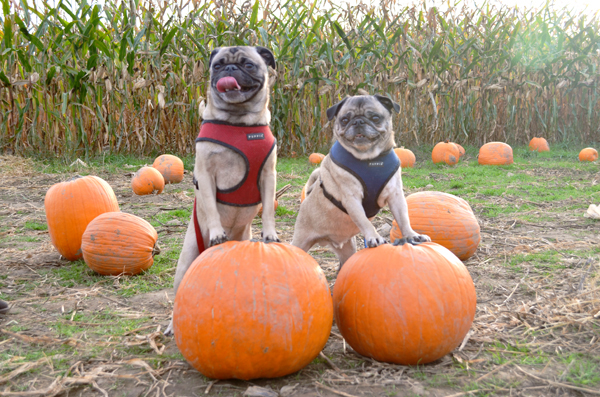 This month has been unusually busy with our epic trip to Switzerland so it's just been Aaron and I (oh and the pugs) for our October traditions this year. Dialed back a bit but still memorable. 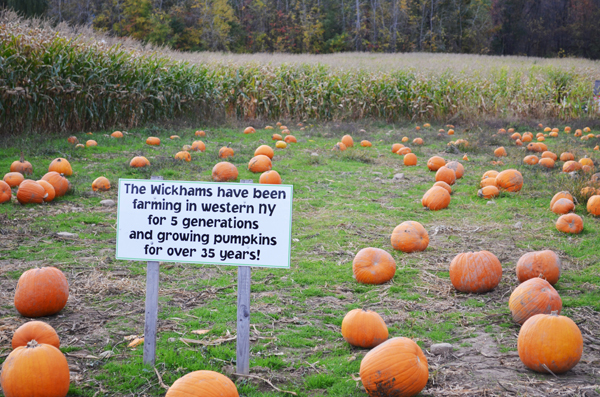 We swung over to Wickham Farms to get our pumpkins with Oscar and Hugo and there were photo ops everywhere. 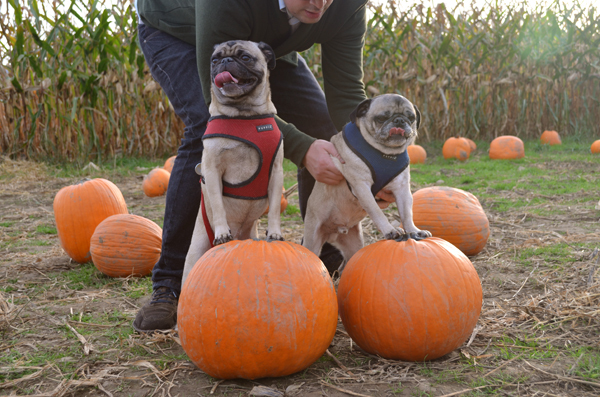 I love this shot of Aaron staging the pugs for a pumpkin picture. 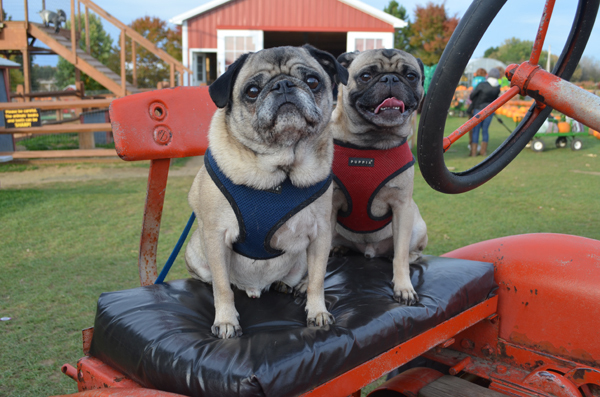 Hugos eyes were practically bugging out of his head trying to take in all the activity while Oscar just went with the flow. Look at that smile on Oscar's face! Sometimes they get tired of me taking tons of picutures. 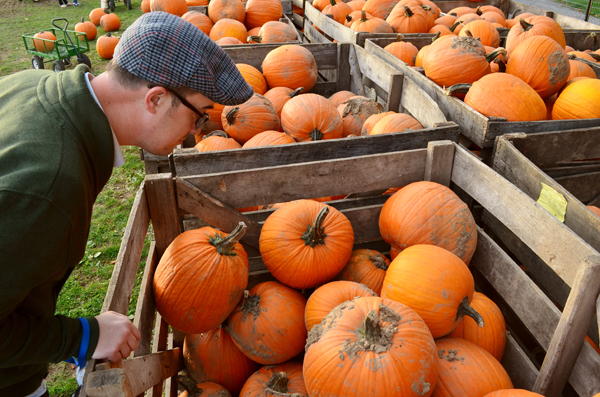 Aaron was on the hunt for THE largest pumpkin in the joint. 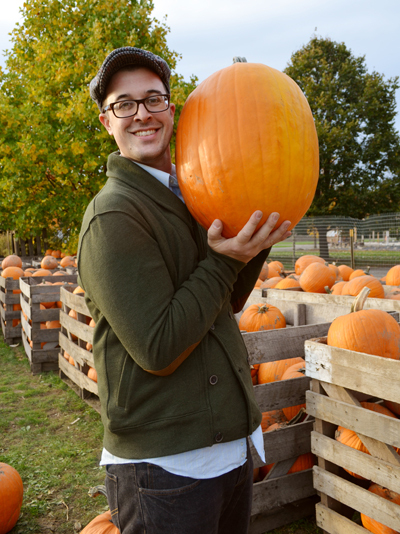 I keep thinking I need to scale back and try to find a pumpkin that will be easy to carve. That never seems to happen. This one was soooo heavy but he went into the cart. 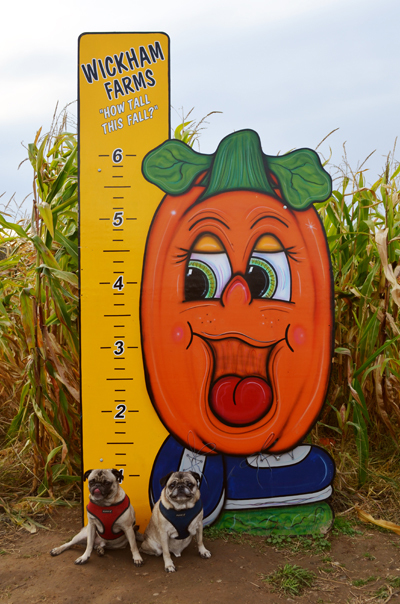 The pugs are one pumpkin tall. 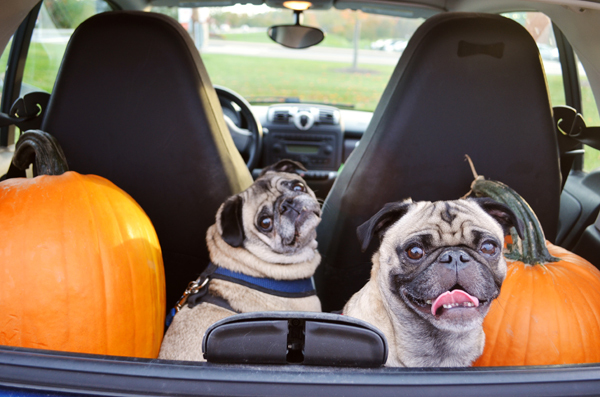 I wanted to get some decorative pumpkins but quickly realized they were not going to fit into the back of the Smart Car with two pugs and two ginormous pumpkins. Oscar is clearly concerned about the situation. We got everyone home in one piece, rest assured. LOVE the staging pic! I get Christmas photos done every year with my dogs (2 pugs & a cocker spaniel). Everyone sees the final product. 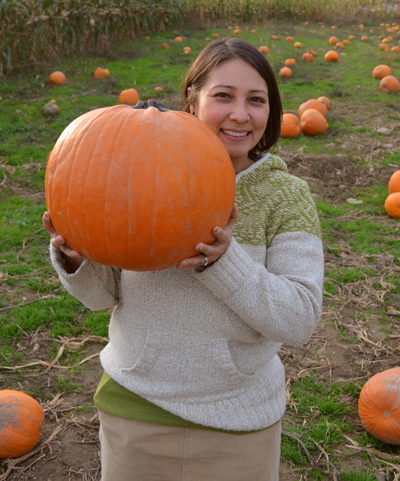 I always LOL when the photographer shows the out-takes from it. I <3 them staged on a pumpkin. Maybe instead of us all sitting by a Christmas tree I can get them posed on a big ornament. Hilarious! The focus Oscar has on his face in the staging picture is great.